Today personal and global ageing are intertwined. By 2050, the World Health Organisation estimates that 22% of the world’s population will be aged over 60. Many more people are living into advanced old age – the Office for National Statistics estimates that one third of babies born in the UK in 2013 will live to be 100 years old. These changes affect us all. They present both challenges and opportunities to us as individuals and as a wider society. 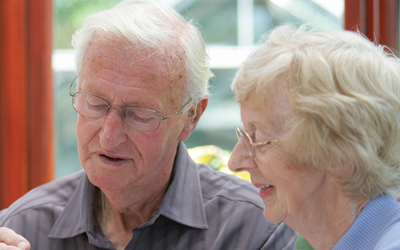 Ageing and later life are both exciting and growing areas of study and practice. Learning about older adult's lives whether out of personal interest or as a practitioner can be very rewarding. This is a truly multidisciplinary area of study raising many questions. How do we understand ageing? Is it mainly a biological process or are other factors more significant? How does socio-economic status affect health and wellbeing as we grow older? How can we best make decisions about where and how we live as we get older? Are attitudes to later life changing or is ageism still a problem? How can experiences at the end of life be improved? How can carers, who may be relatives, friends or practitioners, make sure that the views and needs of older people take centre stage? All our courses draw on our current research on ageing and later life and especially on the research of the Centre for Ageing and Biographical Studies. We offer a range of flexible and accessible courses that address the challenges of ageing and later life – starting from Level 1 (equivalent to year 1 of university study) through to Level 3 (final year undergraduate), as well as a short course Improving dementia care.